Fluid Power World's Editorial Director, Paul Heney, catches up with Rob Clippard, VP Sales and Marketing, on Clippard's newest products and the company's outlook for 2016. Recently, I spoke with Rob Clippard, VP Sales and Marketing for Clippard Instrument Laboratory, Inc. about the company’s newest products—as well as his outlook for the next year. 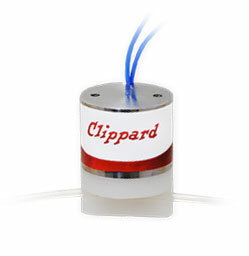 Rob explained that the company’s new pinch valve is an exciting product for them, as this type of component is used in many machines where other Clippard products already reside. 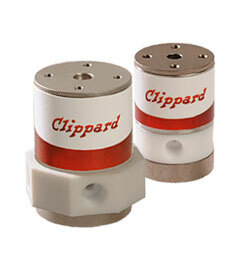 Clippard’s isolation valves, Rob said, should be fully in production in mid-March. He said that there are no seals in the valves … “It’s PTFE on PTFE. From an engineering prospective, having that geometry and that design came down to where it’s a leak-proof, water-tight product. When engineers express their current needs, it has not simply been about price or delivery, Rob said—service is another key attribute. He said that they are expecting the second half of 2016 to be much stronger than the first half, especially on the industrial side of the business. For the life sciences, things started off stronger than they predicted, and the company expects industrial to catch up soon. Rob said that the company is working with three new large OEMs in the mobile market, which gives him a good feeling for 2016.